Ready for the World Equestrian Games! The World Equestrian Games, or WEG, are set for September 11-25, 2018 and we are ready for the crowds! According to the Tryon International Equestrian Center, TIEC, the host of these games, they are expecting over 500,000 people to converge on the area. The WEG are held every 4 years between the Summer Olympics and are a qualifying event for the Olympics. If you are in the area, you will see much happening at the TIEC, the small towns nearby, the roadways and new restaurants and shops opening in time for WEG. Here in Rutherfordton, we are excited that the Copper Penny Restaurant will open a new restaurant in time for the games and is just a few blocks from the Carrier Houses! Come stay with us and walk to several great restaurants in the evening. Needing accommodations? 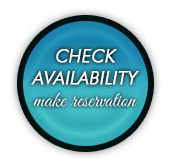 Give us a shout to see what availability we still have.